Actually let’s go crabbin’. 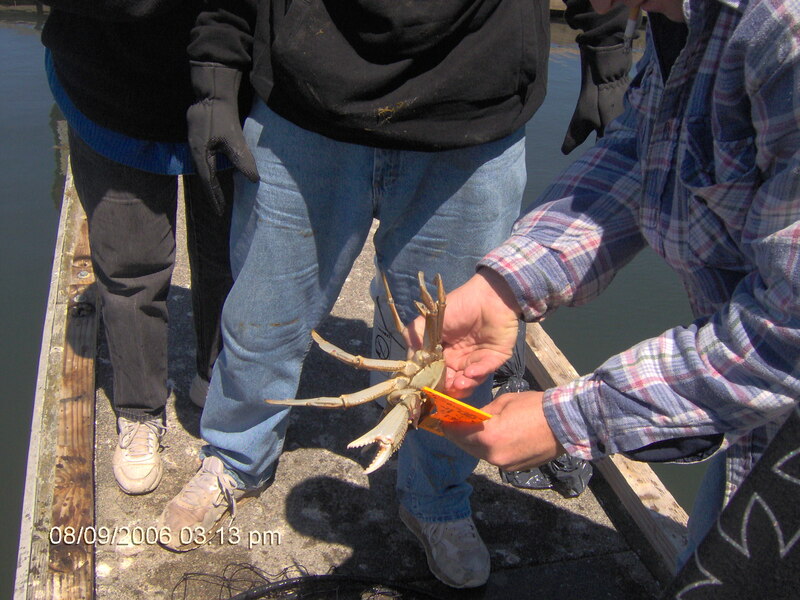 Not only are Dungeness red crab delicious to eat but here on the Oregon Coast they are great family fun to fish for. I ended up buying our very own family crab trap for this adventure. We packed up 7 of us in the SUV and off down the coast road to Charleston we drove. Charleston, Oregon is a small, very small, fishing port with a large Coast Guard presence. There are a few shops and a couple are very nice. There is a motel (Captain John’s) http://www.captjohnsmotel.com and 3 or 4 restaurants with the Portside (http://www.theportsiderestaurant.com) being the nicest for a fine dining experience. We also like the High Tide Café (we favor their clam chowder) http://hightidecafeoregon.com. Both have waterside dining available. So if you get hungry there are places to eat. 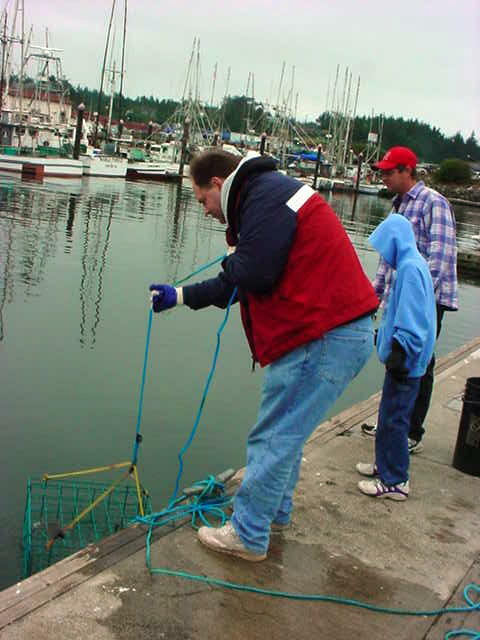 You can’t miss the fishing fleet or Coast Guard boats as that is where the best crabbing is. We stop at one of the fish markets for bait which is usually a turkey leg though you can also obtain fish heads. 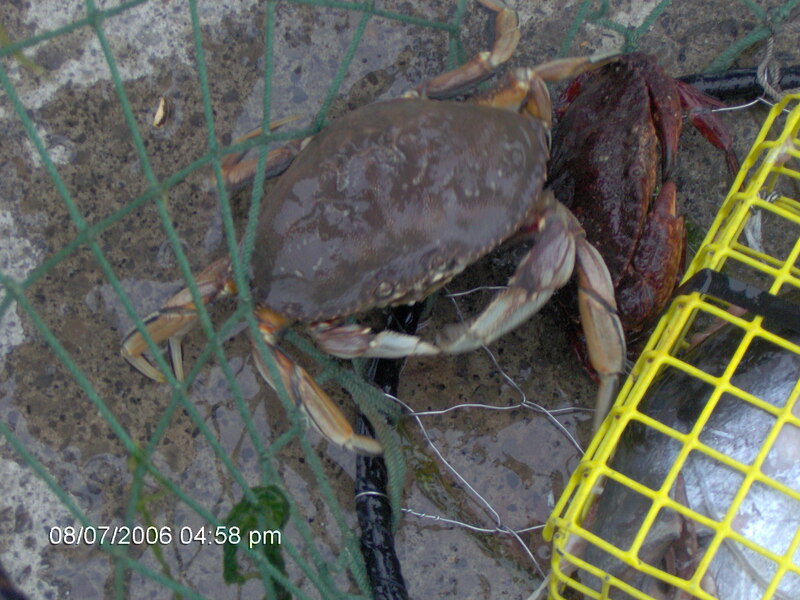 Before you go crabbing for Dungeness be certain to educate yourself a little bit about them. You need a license, are only allowed to harvest male crabs in a limited number each day and they have to be at least 5 & ¾ inches. You will want to purchase the special measuring device designed to measure Dungeness. To determine gender and to measure properly, turn crabs over onto their backs. 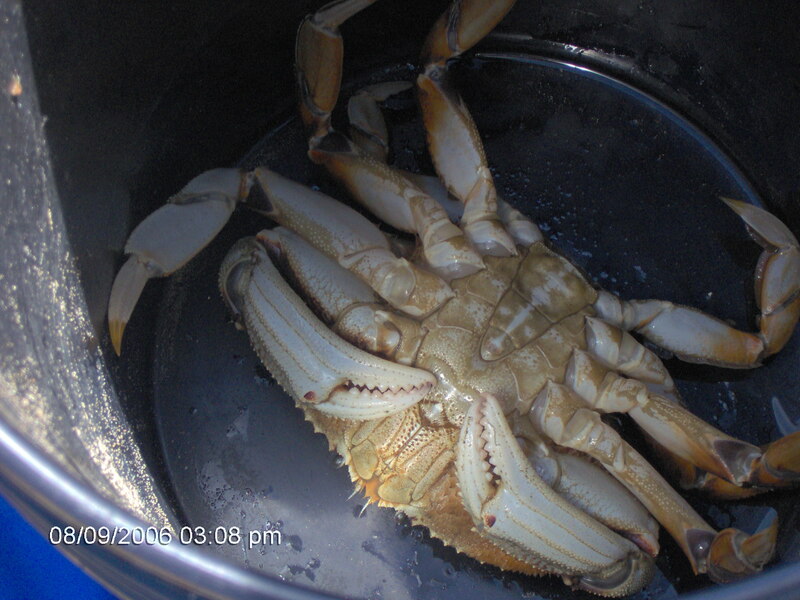 Dungeness become docile and appear to sleep when on their backs and are easy to handle. You’ll want to know what the markings are for each gender. Licenses, supplies and information can all be obtained from any of the fish shops. 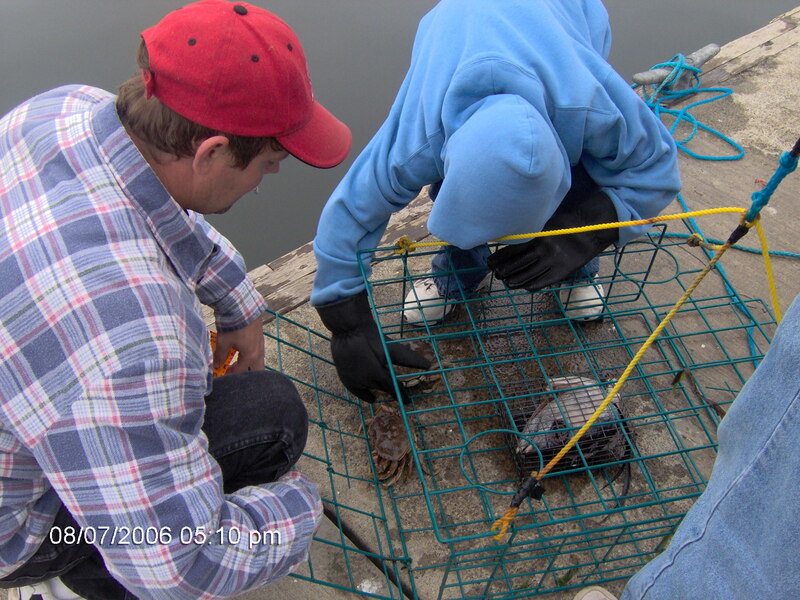 There are tricks to placing the bait in the trap so that the crabs are not able to just grab and run. One family member got very good at it. 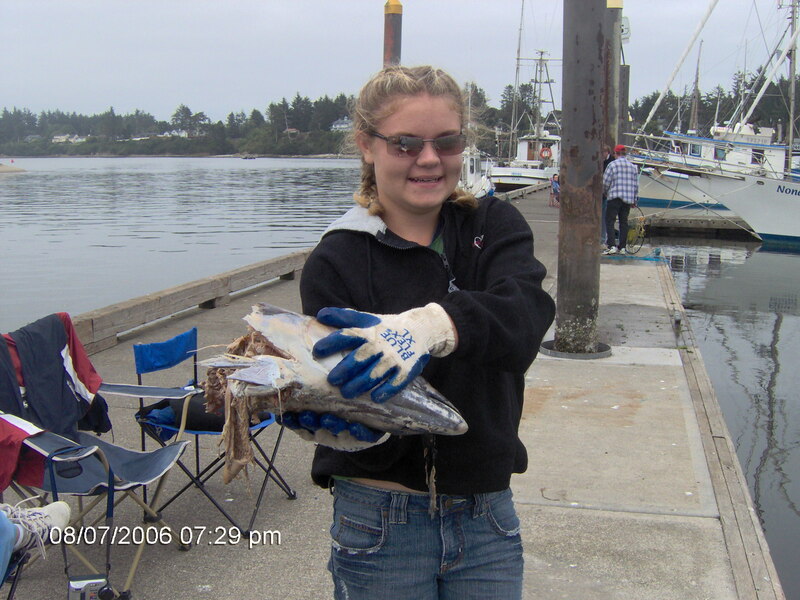 Once the bait is set and the trap closed you gently toss it into the water from the dock and let it sink to the bottom. And then comes the tricky part which is knowing when to pull the trap up retaining the most Dungeness. This is something you can learn by trial and error or, as in our case, a seasoned crabber gave us some tips. The big crabs will come into the trap first and take what they want and depart quickly leaving the small ones behind. Our mistake was leaving the trap down too long and our crabber buddy advised us to pull up after just 3 minutes. It worked! We caught a mess of yummy Dungeness crabs! 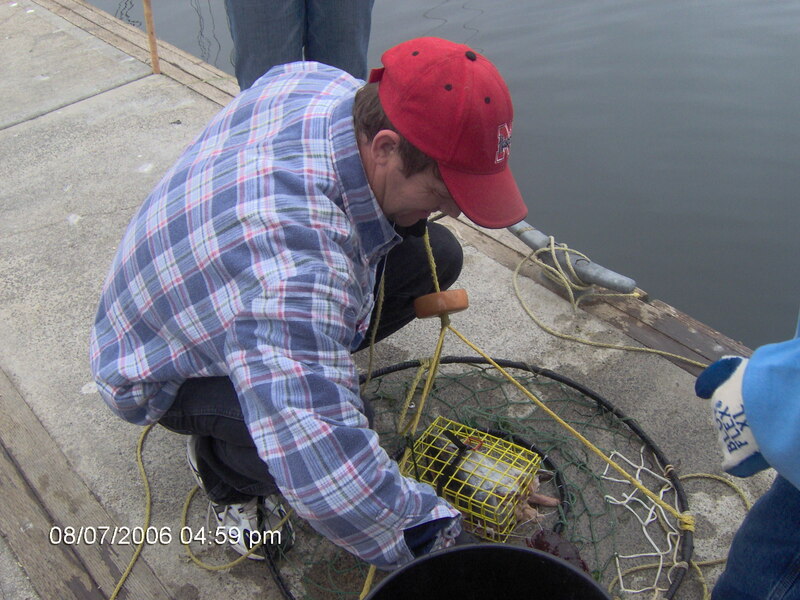 Crabbing is a bit of work as pulling those traps up numerous times can be tiring and make muscles sore. Since we had a crew, we took turns pulling it up so no one would be sore at the end of the day. There are places on the docks you can take your crabs and they will cook and crack them for you. We’ve done it at home ourselves but, again, it is a lot of work. There are special tools that are helpful but now we usually just spend a few bucks as it is economical and let the experts at the docks do it. 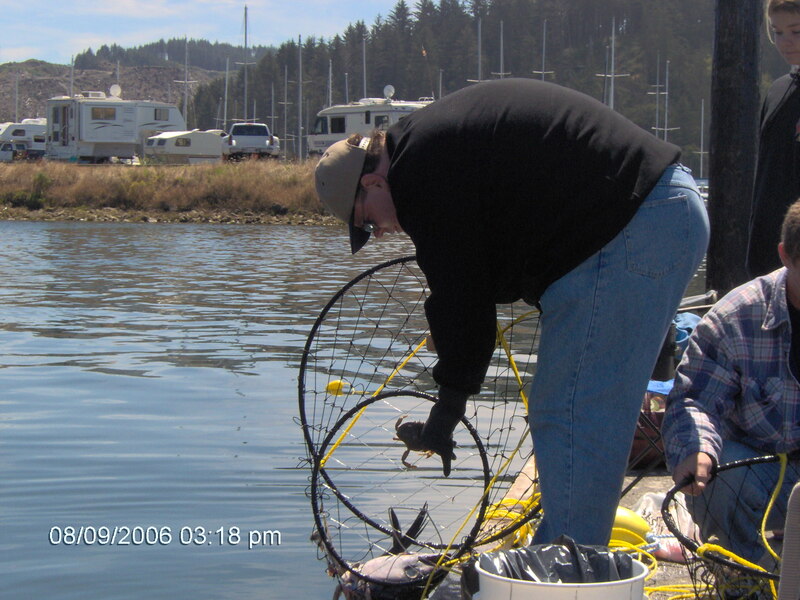 We can then go back to Umpqua River Haven worn out but happy with our catch ready to eat when we get home. Visit www.umpquahaven.com and stop in for a stay. All that great crabbing at Charleston is only about 45 minutes away! You can also crab in Windy Bay which is 20 to 30 minutes down the road. It was a very crabby day but in a good way! Again another home run Ellen. I have never crabbed and was wondering about it. I wish you had put in what to look for about the genders. I don’t remember, George. But when you pick up bait, the measuring device, etc., they will have a printed brochure with all of the information you need! Thanks for your interesting and informative article about crabbs and crabbine – and about Umpqua River Haven too.